2019: Who Is Chasing Oshiomhole From Nigeria To USA? 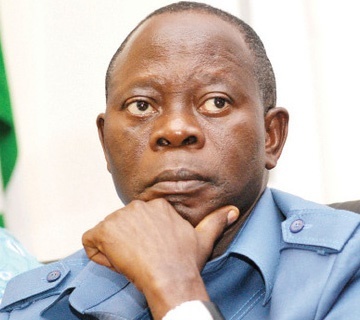 The National Chairman of the ruling All Progressives Congress (APC) Comrade Adams Oshiomhole has suddenly left the country in the midst of the furor caused by his interrogation by the Department of State Services (DSS) on Sunday and Monday. Oshiomole left the country on Wednesday for the United States. Governor Yahaya Bello of Kogi State was said to have secured bail for Oshiomhole from DSS after he underwent nine hours of interrogation on Sunday and for several hours again on Monday. The interrogation was prompted by numerous petitions sent to DSS, Economic and Financial Crimes Commission (EFCC) and the Presidency arising from APC’s primary elections, which led to bitter acrimony in several states with allegations of bribery and manipulation. Following Oshiomhole’s hasty departure, APC and Presidency officials were reportedly huddled in discussions about the chairman’s fate and the damage that recent events could do to the party, ahead of the 2019 elections. The APC National Publicity Secretary, Lanre Issa-Onilu, confirmed to journalists on Thursday in Abuja that Oshiomhole has travelled out of the country.